Talking with the press in Hanoi on January 7 about the upcoming approval of the VPA/FLEGT, Tuan said the agreement will help strengthen forest governance, deal with illegal logging, and promote trade in Vietnamese wood and wooden furniture. 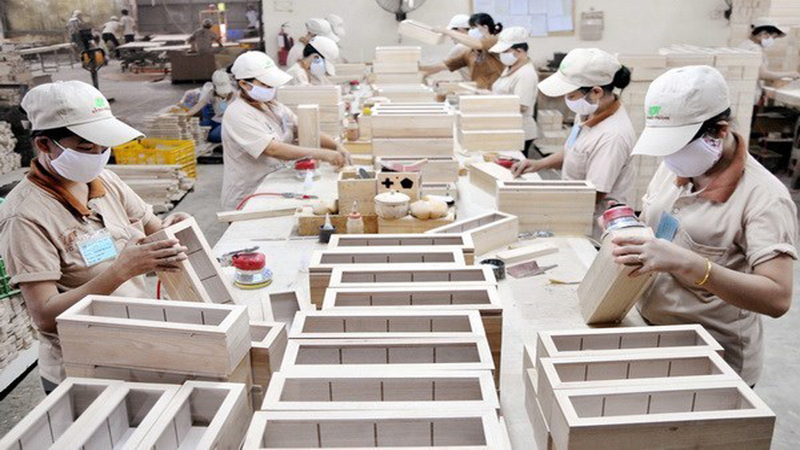 Vietnam has so far shipped wooden furniture to 28 EU countries, mostly in outdoor decor. The EU is the fourth largest importer of Vietnamese wood products, accounting for 13-17 percent of total exports, he said. According to him, transparency in the origin of imported wood and control of the supply chain have been among Vietnam’s key issues during the six years of VPA/FLEGT negotiations. On the basis of agreements with the EU and partners on wood origin control, Vietnam has recently issued the Law on Forestry, launched the Vietnam Timber Legality Assurance System (VNTLAS) for the first time, and hiked up the punishments for violations. Vice President of the European Parliament Heidi Hautala said all wood and wooden furniture exported from Vietnam to the EU need FLEGT licences. The EU has been signing the agreement with 16 countries. The VPA/FLEGT is the second signed by the EU in Asia, following its deal with Indonesia, she said. She added that the EU wants to eliminate illegal wood exploitation to meet the increasing demands of European consumers. Vietnam should make every effort to ensure its accountability, she said, adding that the EU will pay special attention to the country’s preparations for the implementation of the agreement. Tuan said Vietnam has approved a plan to realize the agreement, including building legal documents and strengthening the supervisory role of non-governmental organizations, professional organizations, and concerned parties during the process. From January 7-9, Hautala is scheduled to pay working trips to the Central Highlands province of Gia Lai and Ho Chi Minh City to prepare for submitting the agreement to the EP for approval. After six years of negotiations, the VPA/FLEGT was signed by both sides on October 19, 2018 in Brussels, Belgium. The deal needs to be adopted by the EP before being submitted to the European Council for ratification. The export revenue of wood and wooden products was estimated at US$4.8 billion in the first seven months of this year, an increase of 11.6% compared to the same period in 2017, the Ministry of Agriculture and Rural Development has announced. Vietnam sees wood and wood works as a spearhead industry, earning export revenues of $18-20 billion by 2025. (BGO) – Turning woodblocks into a tourism product is the unique idea of Dang Huong My of Class 12A12 and Nguyen Ha My of Class 12A1 with the support of Le Thi Thu Thuy, a Geography teacher at Ngo Si Lien High School. (BGO) - The Viet Yen district People’s Committee in Bac Giang province on March 31 (15th day of the second lunar calendar) organized a ceremony to receive the Prime Minister’s Decision recognizing Bo Da pagoda’s woodblocks as a national treasure and launched the pagoda festival.